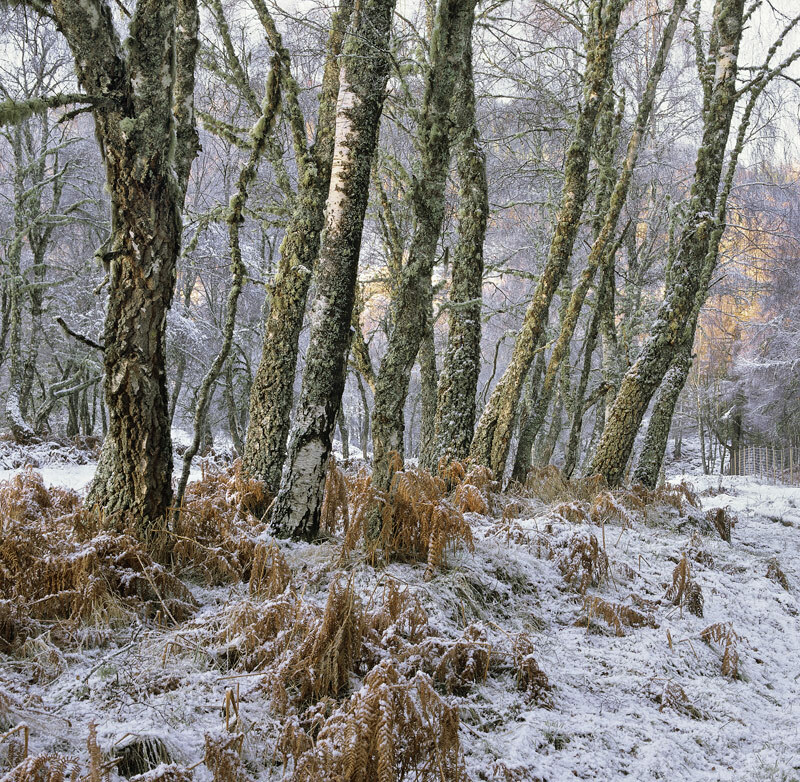 A delightful birch grove at the edge of Loch Achilt peppered with snow over trunks and bracken. The soft light of a nearly set sun spatters the hills beyond turning them red yet the atmosphere and colours are soft and delicate muted by the snow and the reflected light it throws off which gently fill in any shadows. It has a distinctly Christmas, Narnia feel to it which I find compelling.